Sneinton people want to reduce the impact of car traffic passing our homes. On journeys through the area, we want to improve the opportunities for alternatives to driving, like walking and cycling, as well as improving car parking. 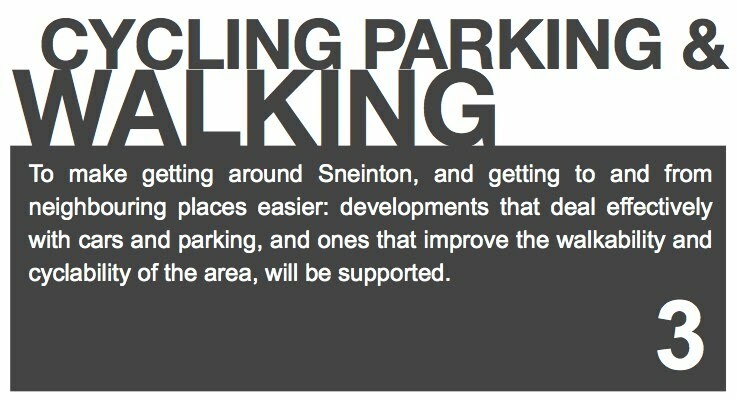 When we talk about how particular places could be improved, many of us want better pedestrian and cycling links to surrounding areas, and within Sneinton.